330 @canna-curate Passing the Blunt to the New Delegators! 329 @flash07 Locktrip - the Blockchain Powered Marketplace for travelers. Going to be next Airbnb ?? 54 @maherame Earing Through D.Tube. 52 @rhn268 Tell Me About YourSelf! 49 @flash07 Locktrip - the Blockchain Powered Marketplace for travelers. Going to be next Airbnb ?? 43 @hwai 안녕하세요. 스팀잇 입문자입니다. 처음이라 어떤글을 올려야할지 모르겠지만 반갑습니다. 43.61 @gernalist News from Germany on Steemit & D.Tube! What is GERnalist? 41.49 @joshfamilyvlogs Hello Dtube! - My Experience Begins. 41.42 @nerdfam First Video! Custom PC i7-8086k Build! 38.84 @wales007 Meet wales007 The Steemit Entertainer!!! 37.67 @timetravelbee Be you! Step out of the box! Video on who I am? Tnx for mentioning my post here!! I'm so grateful for the valuable position I'm blessed in this list. 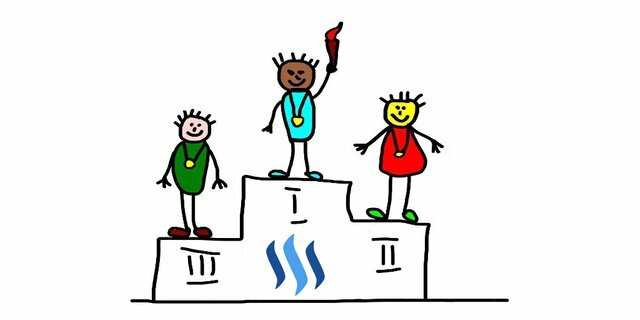 Thank you steemit and all steemians. I love your support.